It wasn’t the Southbank Tower under construction opposite that reminded me I was in an area of London emphatically embracing the new wave, nor the flamboyantly-cut, loftily-heeled hipsters, unphased by the incessant drilling over the road, hovering outside the Mondrian London as I entered. So new was this establishment the signs of rusting construction were still evident in the lobby. Was that chair-swing sculptural ornamentation or an item of furniture? The post-modern industrialism was evidently a theme as it continued inside with a reception hewn of heavy-riveted sheet copper plates. All this is the work of one Tom Dixon. 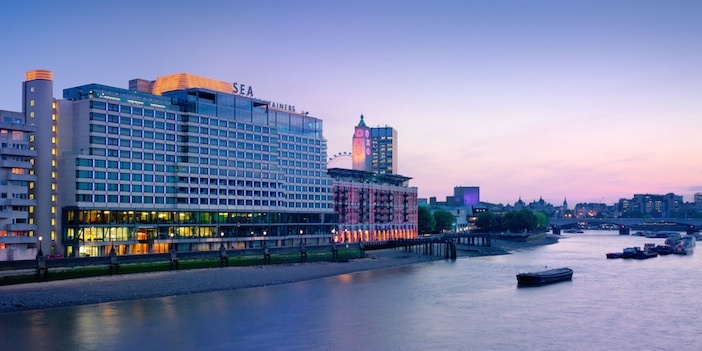 Quirk is his trademark, and the clue should have been in the address; this was Mondrian London ‘at Sea Containers’ and the theme is suitably nautical. Between the copper hull and gargantuan blue piping left in the middle of the room, I couldn’t tell if I was in an art gallery or the engine room on the Titanic. I should have known they’d do something quirky. 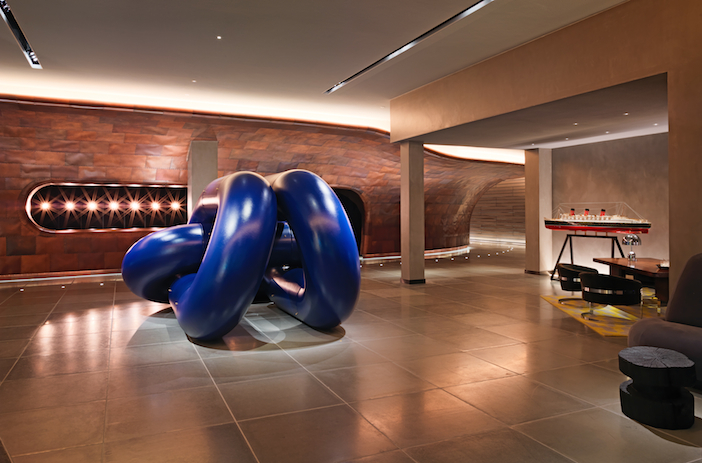 Mondrian are a small offshoot of the Morgans hotel group, and suitably daring in design. At the LA hotel I stayed in a few years ago the room interiors were so oblique I spent half an hour searching for the TV, pressing wall panels and tugging curtain strings only to hit the remote and see the screen appear in a double-sided mirror swivelling on a pole in the middle of my room. This evening I was early, and the exuberantly-titled ‘Rumpus’ rooftop bar wasn’t yet open, I was advised by the high-ponytailed bearded gentleman. Though I’m not sure I wasn’t relieved; a ‘rumpus’ isn’t what I had in mind at 5 in the afternoon – still, perhaps I should have ventured; I heard the views are breath-taking. I enquired at the concierge – at least I think it was the concierge, the installers could have just left a desk in the lobby mid-move – and I couldn’t tell if the high-ponytailed bearded gentleman was the concierge or a waiter on a break, given the random placement of a drinks tray being the desk’s only ornamentation. Still, he knew where he was going and directed me to a set of double doors and an elevator to the basement and the new screening room below decks – I mean, in the basement – of the hotel. This was my destination. And here, thankfully, behind all the ultra-hip post modern thick-set maritime architecture it is a place of sanctuary. 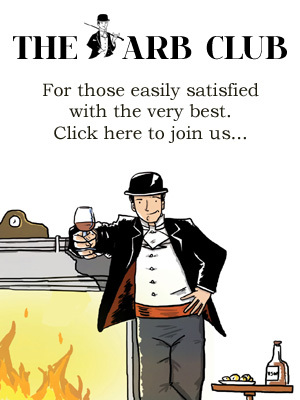 Somewhere quiet, refined and sophisticated. The perfect escape on a Saturday night. Screening rooms in hotels are nothing new, but a cinema is. 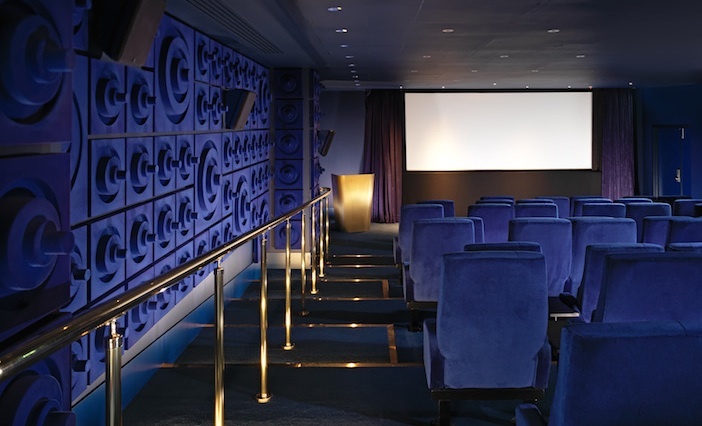 Operated by Curzon, the hotel has partnered with the cinema group to turn its venue into an intimate, deliciously comfortable state-of-the art cinema away from the multiplex or provincial high street. While the foyer downstairs feels too much like a, well, a downstairs hotel foyer – a framed poster or two and one of those nautical sculptures from upstairs wouldn’t go amiss – vintage popcorn machines and a delectable concessions stand complete the cinema experience over and above the over-priced jumbo bag of M&Ms and half a hundredweight of stale popcorn that usually gets left behind after the film. But it’s the experience itself that is superior. Operating at weekends, the 56-seater venue will offer new releases, art house hits and family favourites to hotel guests and public alike. And the 4K digital projection and Dolby 7.1 surround sound compete with anything the West End could offer and better – just as well as anything less would have you falling asleep in the sofa-like seats. While perhaps not suited to the scale of an SFX laden blockbuster – although they are showing Interstellar – the partnership is an ideal fit, with Curzon specialising in more cultured fare. Over the coming weeks, guests can expect new releases such as Russian drama, Leviathan, and the crime thriller, The Drop – staring Tom Hardy – along with a host of festive family favourites, including A Muppets Christmas Carol and Polar Express. In keeping with the Sea Containers, I’m tempted to suggest a season of sea-faring classics for the new year…In Which We Serve, anyone? Curzon Mondrian is now open as a cinema venue on the Southbank. For more information including future releases, showtimes and to book tickets, visit the website.